Hosting a party? Serving wine? 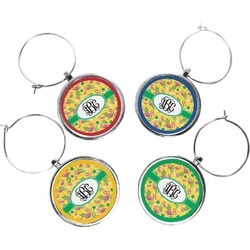 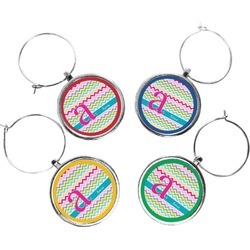 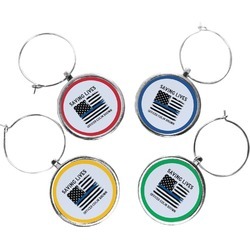 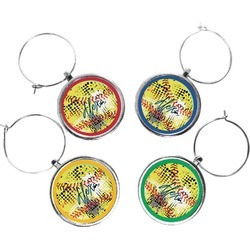 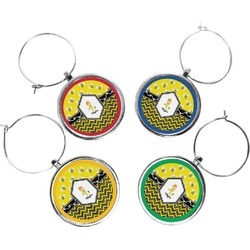 You need our personalized wine charms for your guests to help differentiate the wine glasses. How you choose to customize / personalize these charms depends on how you plan to use them. If you are hosting a party and want to show off your personal style, then we suggest you customize them the way we show them - i.e. each charm is designed to reflect your style and has your name/monogram - but has a colored ring around the edge to separate the charms. Or you can customize & personalize each charm for each one of your guests and that can be your very "personalized" gift for your guests. You can also use the charms as "place cards" at the dinner table. Our wine charms can be easily customized by you. We have 1000s of different prints and patterns for you choose from. You can change the layout, the colors, the font's, the monogram style. 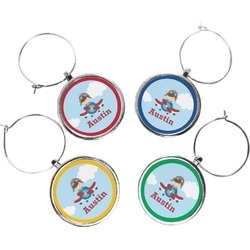 If you need something specific, please contact us and will be glad to assist you. You will receive a set of 4 charms; you can have them the same with different colors or customize each charm individually - the choice is yours. The 1" design is set in a 1.25" silver plate and hangs from a silver loop.